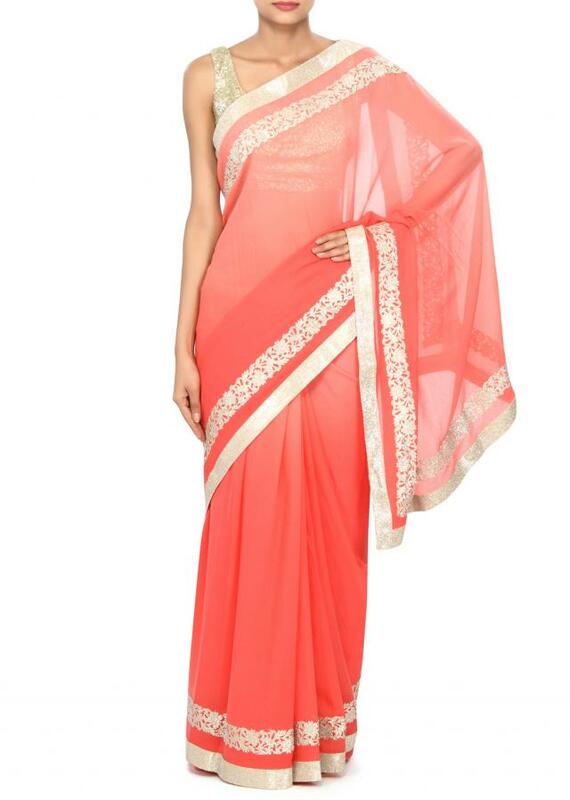 Shaded saree in pink chiffon. 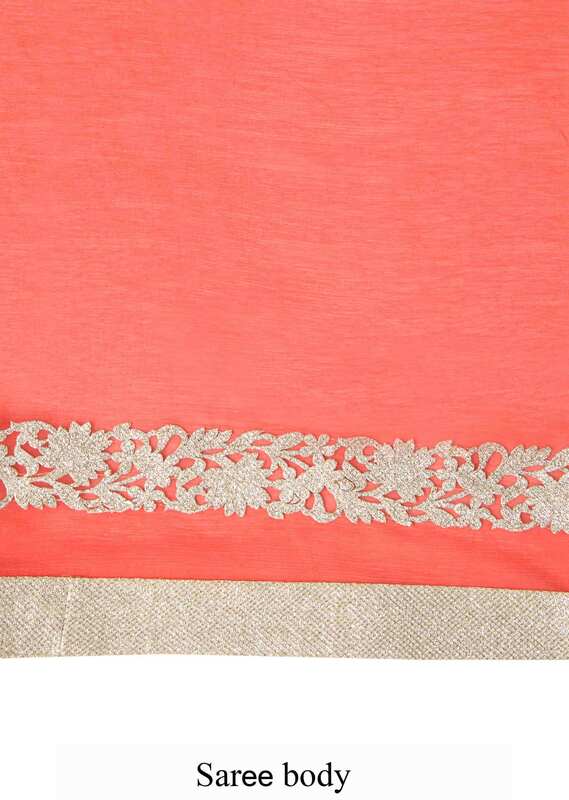 Border is embellished in cut work embroidery. 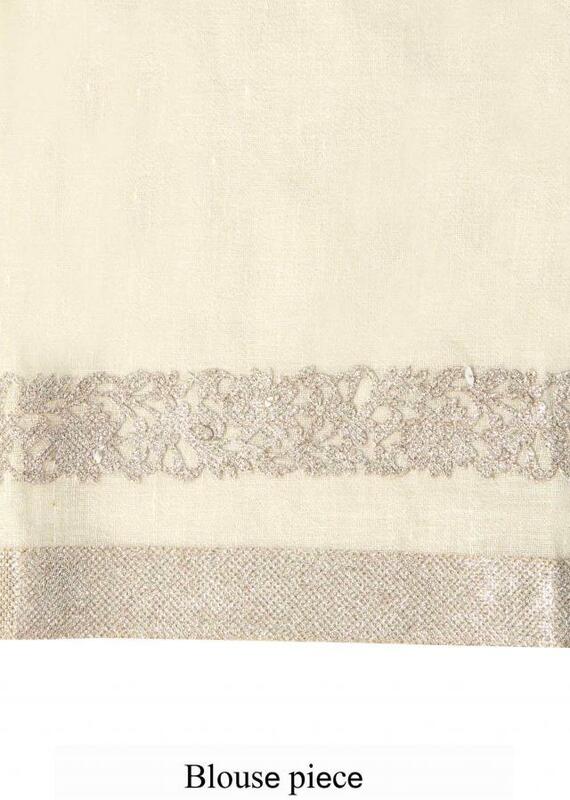 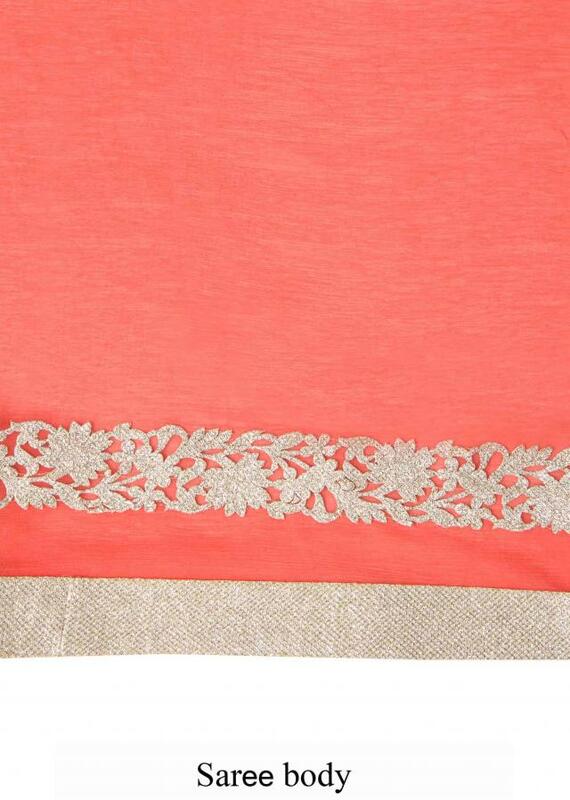 Blouse is unstitched in off white lurex.